At Elfack you can explore specific areas or expand your horizons with insights into other parts of the industry. And as power companies, decision makers, politicians, installers, distributors, architects and lighting designers meet together, the result is great ideas and innovative solutions that will take the industry into a new age. Come and visit us for a live demonstration of a Microgrid simulation with the OP4510 platform. Due to weather changes and other external factors, we often consider renewable energy sources in microgrids to be variable resources. Also, they require complex, reliable control systems to regulate the flow and quality of power, voltage, and frequency. The greater the complexity of the systems, the more tests are required, all with greater accuracy than ever before. Real-time digital simulation enables researchers to study the effects of multiple scenarios. Indeed, they can test in near-real conditions and without risk, prior to deployment in the field. 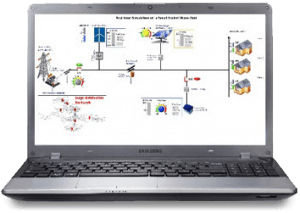 Microgrid simulation is only one of the multiple applications, you can work on thanks to the OPAL-RT simulators. Come and meet us to learn more about onboard power systems, power system controls, and power generation. 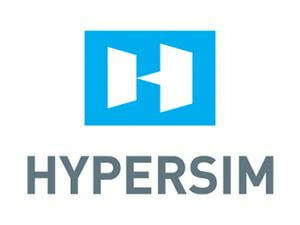 HYPERSIM® provides engineers with the right tools to address these challenges, all through an advanced real-time simulation platform featuring Hardware-in-the-Loop (HIL) testing. Whether you’re developing, integrating or testing new components or systems which require HIL, or simply tired of waiting hours for a few seconds of simulation, HYPERSIM provides the solution. HYPERSIM enables the most demanding utilities, manufacturers and research centres to run faster, more realistic tests in order to meet the evolving requirements of the energy sector. We are looking forward to meeting you in Goteborg!